MSC Seaview, one of the next ships from MSC Cruises, is rapidly preparing for her debut in June 2018. The ship recently reached a huge milestone by celebrating her floating out ceremony in Italy – which is the first time MSC Seaview touched water since the beginning of her construction. This means the exterior of the MSC Seaview is now complete and she can enter her final stage of construction, which involves the completion of interiors, fixtures, and furnishings. The goal of MSC Seaview is to bring travelers closer to the sea than ever before. The ships of the Seaside Generation aim to provide the ultimate sun and sea experience, which is why they have been designed for warmer climates. MSC Seaview will come into service June 2018, six months after the debut of her sister ship – MSC Seaside. MSC Seaview will have several features that help make her unique, including one of the highest ratios of outdoor space per guest, which means travelers will always have a stunning view of the ocean. She will also feature panoramic glass elevators and terraced balcony cabins, an industry first, which will give cruisers the opportunity to relax in the sun on their private terrace with an amazing view of the ocean. MSC Seaview will have one of the most thrilling waterparks at sea with four exhilarating waterslides and zip-lines over 300 feet long, and much more for travelers looking for the ultimate cruise experience. MSC Seaview is scheduled to sail her inaugural season during summer 2018 in the Mediterranean and will visit several lively ports, including Genoa, Naples, Barcelona, Marseille, and many more. It will be the perfect opportunity for travelers to experience the gems of the Mediterranean while only having to unpack once. Upcoming MSC Seaview itineraries can be viewed here. After she finishes her inaugural season, the MSC Seaview will follow the sun to Brazil and the Southern Hemisphere for the 2018-2019 winter season. “At MSC Cruises, we are truly leading the way with our ship designs, as each new class of ships that we bring into service is rooted in meeting the needs of travelers of different ages, demographics, and holiday desires. With MSC Seaview in particular, our vision has been inspired by our passion for the sea, and we are appealing to guests who are seeking the classic elements of a holiday – sun and sea – taken to the next level with a one-of-a-kind, fully immersive, and interactive seaside experience, even while cruising at sea, “said Pierfrancesco Vago, Executive Chairman of MSC Cruises. The Seaview is the second identical ship in the Seaside Class, and will hold a maximum capacity of 5,179 guests. 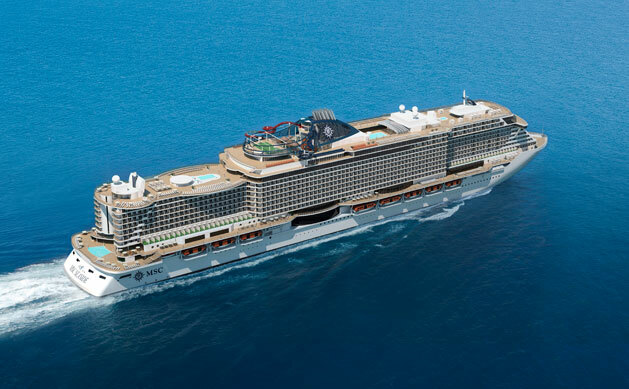 She will also be the third next-generation ship from MSC Cruises to begin service within 12 months, following the MSC Meraviglia in June 2017 and the MSC Seaside in December 2017. 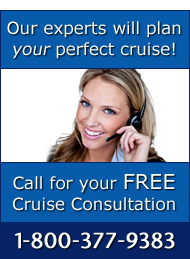 For more information about the MSC Seaview and all other MSC Cruises, call The Cruise Web today at 1-800-377-9383 to speak with an expert cruise consultant.